President Donald Trump has repeatedly held up the stock market as one of his preferred scorecards of his administration’s policies. Stocks are up about 25% from Trump’s inauguration through the end of March 2019. CNN Business will update this tracker at the end of each month. President Ronald Reagan’s first four years in the White House weren’t particularly lucrative for Wall Street. Crushed by Federal Reserve Chairman Paul Volcker’s war on inflation, the economy stumbled into a brief recession in July 1981. Unemployment spiked to nearly 11%. But Volcker’s rate hikes and Reagan’s corporate tax cuts eventually broke the back of inflation, setting the stage for rapid economic growth. Under Reagan, America drastically ramped up defense spending in a successful bid to bring down the Soviet Union. 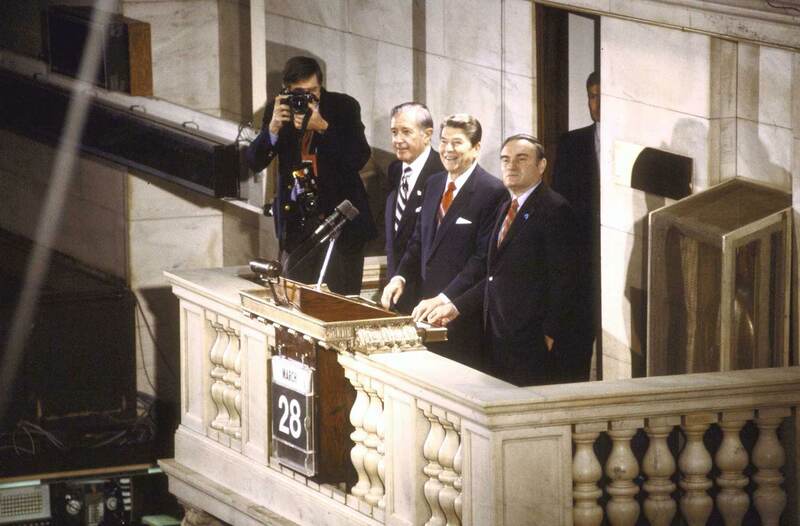 Despite the strong economy, Wall Street suffered its worst day ever under Reagan. The Dow plunged an astonishing 22.6% on Black Monday — equaling about 5,500 points today. Nonetheless, the S&P 500 posted five separate years of double-digit growth on the Gipper’s watch, including a 26% spike in 1985. 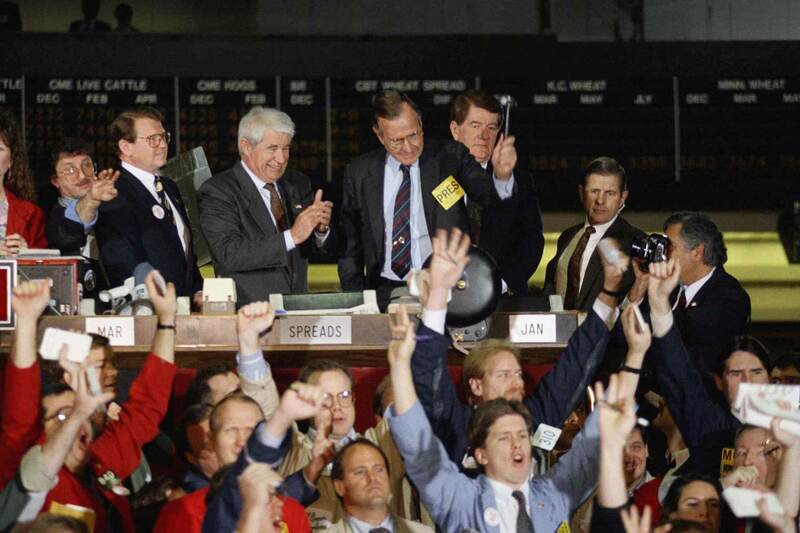 The economy and stock market surged in President George H. W. Bush’s first year in office. The S&P 500 climbed 27% in 1989. But then the savings-and-loan crisis and Gulf War struck. Oil prices more than doubled after Iraq invaded Kuwait. Growth slowed, and the American economy slipped into a mild recession in July 1990. While the recession ended in March 1991, the recovery was choppy. Two years later, unemployment remained around 7%. The sluggish economy led to Bush’s defeat in 1992. The roaring 1990s were very kind to Wall Street. Stocks spiked — the S&P 500 increased 210% under President Bill Clinton — as investors celebrated the rise of the Internet and brisk economic growth. 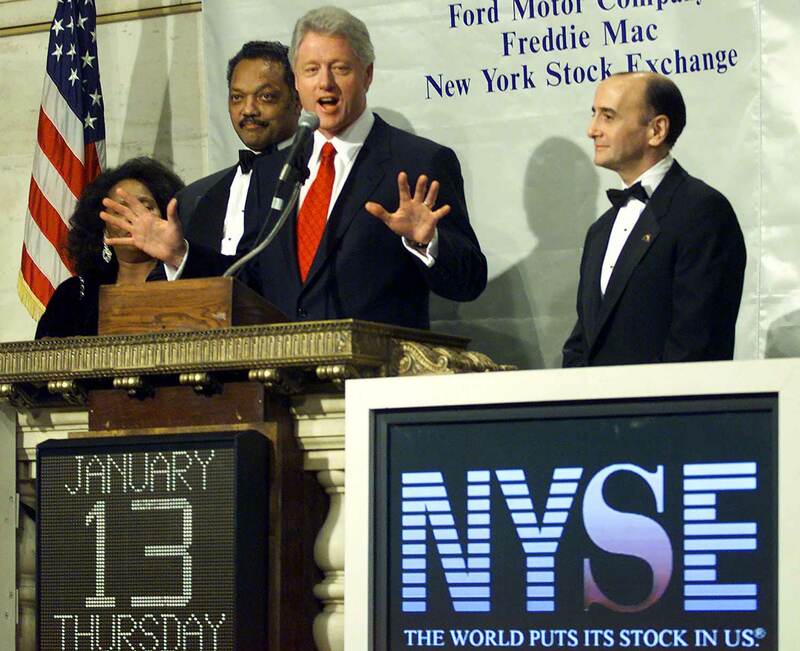 Clinton presided over two of the S&P 500’s top 10 years: 1995 and 1997. GDP topped 4% in five of Clinton’s eight years in the White House. Inflation remained stable. Unemployment dipped below 4%. And the United States enjoyed the longest period of uninterrupted economic growth in modern history. The era was punctuated by the dotcom boom, which amounted to the creation of an entirely new industry. The Nasdaq spiked sevenfold between 1993 and its peak in early 2000. The mania created vast amounts of wealth — much of which would disappear as the bubble inevitably popped. Investors who bet that a businessman in the White House would translate into strong returns were badly disappointed during President George W. Bush’s presidency. The S&P 500 declined 40% under Bush, the worst among modern administrations. 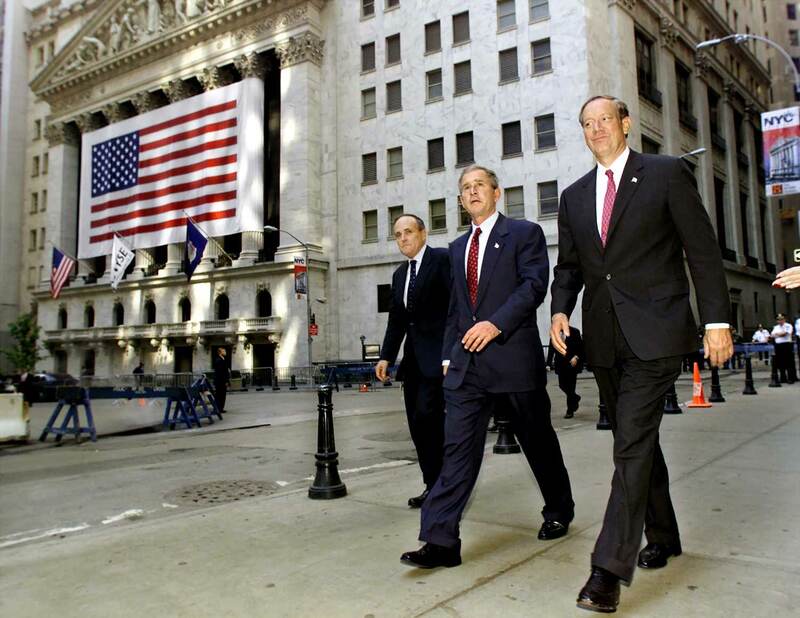 Bush inherited the dotcom bust, which spawned the 2001 recession. The downturn was deepened by the 9/11 terror attacks. Growth gathered steam in 2004 and 2005, fueled in part by low interest rates and the housing boom. But that bubble also popped in spectacular fashion, ushering in the Great Recession and the scariest financial crisis in a generation. In the final quarter of Bush’s tenure, GDP plummeted at an 8.4% annual rate. Unemployment began rising rapidly. The S&P 500 plummeted 38% in 2008, its worst year since the Great Depression. 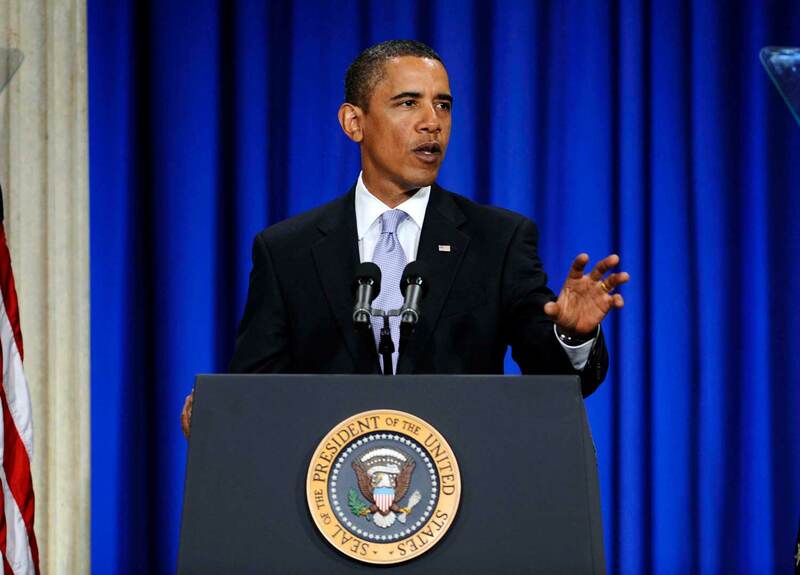 The Wall Street meltdown continued during the first few months of President Barack Obama’s presidency. The financial and auto industries teetered on the brink of collapse before government bailouts saved them both. Unemployment would peak at 10% in 2009, doubling in barely a year. The stock market bottomed out in March 2009, but then the economy slowly healed, beginning what would eventually become the longest bull market in American history. Digging out of the depths of the Great Recession was a long and slow process, though. Annual GDP growth never topped 3% in the Obama era. Hoping to juice the economy, the Fed kept pumping easy money into the system. The unprecedented experiment helped send stocks soaring — the S&P 500 nearly tripled during the Obama era — but also contributed to wealth inequality and populism. President Donald Trump’s upset victory fueled a breathtaking rally in the stock market. The billionaire’s pro-business agenda of tax cuts, deregulation and infrastructure spending carried the Dow from 18,332 on Election Day above 21,000 by March 2017. Trump’s signature legislative achievement – the tax overhaul – sent the market boom into overdrive. The Dow eventually surged above 26,000. Economic growth accelerated above 4% in mid-2018. Corporate profits spiked. And the unemployment rate plunged to 3.7%. But the Trump rally lost its steam in 2018. 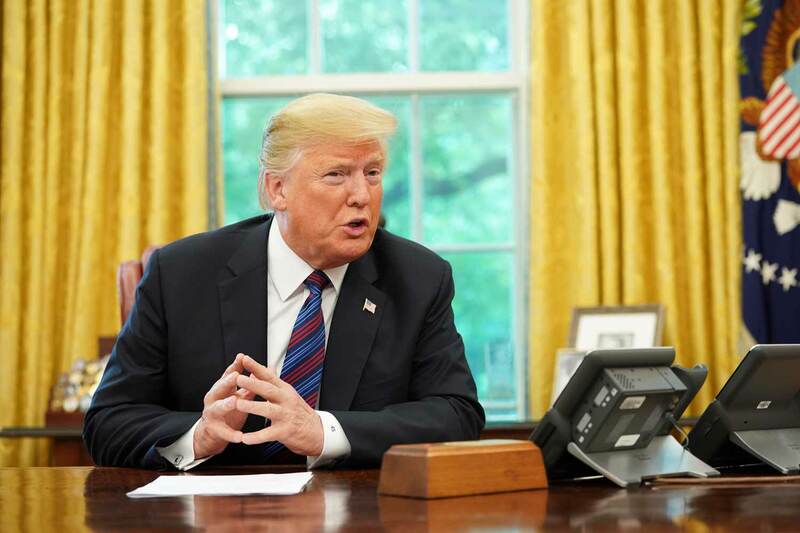 Trump’s trade war sparked deep uncertainty. And the debt-fueled tax cuts and spending splurge threatened to overheat the economy, forcing the Fed to step in with rate hikes. In 2018, the S&P 500 had its worst year in a decade. Cumulatively, stocks gained 25% between Trump’s inauguration and March 29, 2019.